Concerned parents and area residents joined community leaders in North Delta last week for a public forum on the dangers of fentanyl. 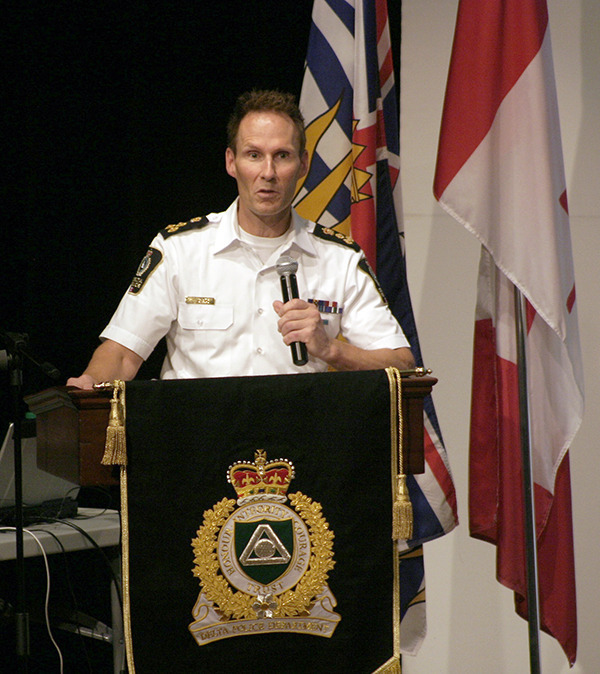 The forum, co-hosted by Delta Police, the Corporation of Delta, the Delta School District, and Fraser Health at North Delta Secondary on Sept. 15, was the second of two held last week in response to growing concerns about fentanyl following a string of overdoses in Delta on Aug. 31. Speakers discussed a range of topics including what fentanyl is, why it’s dangerous, how prevalent it is and how it can impact even casual users and their families. Jackson went on to take issue with the use of the term “recreational drug user,” saying it sends the wrong message to Delta’s youth. 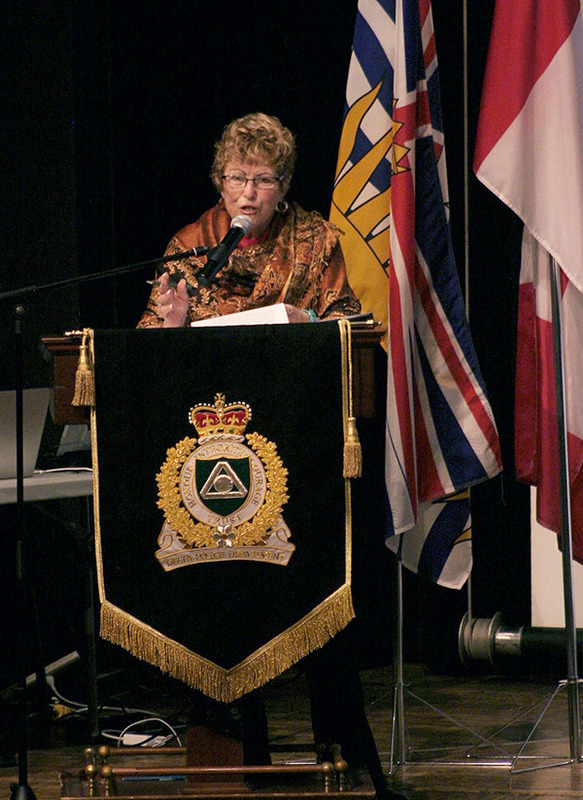 Speakers from the Delta School District, Delta Police and Fraser Health went on to inform the crowded auditorium of the dangers posed by fentanyl, including the chances of ingesting it accidentally because of cross-contamination at the places where the various drugs are processed and the risk of overdose even in first-time users. Several panelists emphasized that the rising concern over fentanyl does not represent an increase in drug use. Fentanyl is a synthetic opioid 100 times more powerful than morphine. It’s used legitimately in hospitals as a painkiller and prescribed in the form of prescription patches for long-term pain management. A lethal dose of pure fentanyl is estimated to be about two milligrams for a typical adult, the equivalent of a couple of grains of salt, so the risk to users is extremely high. To make matters worse, fentanyl cannot be detected by look, smell or taste, and dealers seldom tell users they are selling fentanyl-laced product. Because of its potency and relatively low cost, fentanyl has in recent years been used increasingly by drug dealers to cut their product and maximize their profits. The small amount needed also makes it easier to smuggle into the country. “The problem with fentanyl is it doesn’t take a lot of fentanyl to produce a lot of street-level drugs. So, for instance, if you think of [how] two milligrams or two grains of salt is enough to kill you, think of [how far] a pound of fentanyl could go,” said Sgt. Dave Vaughan-Smith, who spoke at the forum as the DPD’s drug expert. Fentanyl is used widely as a cutting agent in heroin and counterfeit oxycodone pills, but has been increasingly found in street level cocaine and other drugs. On Aug. 31, emergency crews in South Delta responded to nine overdoses within 20 minutes at four separate locations. All the people are believed to have used fentanyl-laced cocaine bought from the same source. A day later, 20-year-old Danika Koltai of South Surrey died of a suspected fentanyl overdose at a residence she was visiting in Delta. Fentanyl has been tied to 62 per cent of the 371 drug-overdose deaths in B.C. in the first half of this year. In 2015, fentanyl was detected in about 30 per cent of all illicit drug deaths. Fraser Health estimates that if overdose deaths continue at their current rate, there will be approximately 266 deaths in the Fraser Health region in 2016 – a 32 per cent increase over 2015 and a 100 per cent increase over 2014. Last month, Insite, the supervised injection site on the Downtown Eastside run by Vancouver Coastal Health, reported that 86 per cent of the drugs tested through their pilot voluntary drug checking program were positive for fentanyl. 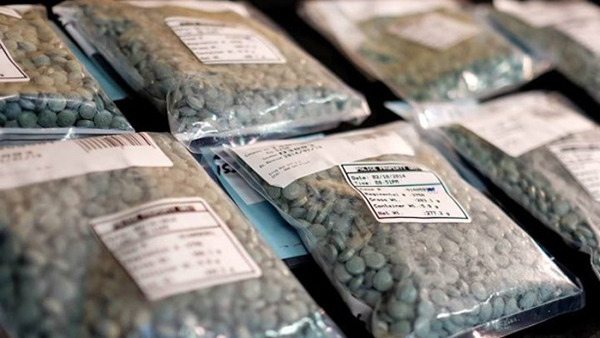 “These initial results confirm our suspicion that the local drug supply is overwhelmingly contaminated with fentanyl,” said Dr. Mark Lysyshyn, medical health officer with Vancouver Coastal Health (VCH) in a press release. In the first month of testing, from July 7 to Aug. 3, 173 checks were performed and 90 per cent of the checks on heroin and mixtures containing heroin were positive for fentanyl. Fewer checks were performed on cocaine, crack, speed and crystal meth and those that were were less likely to be positive. Dubord closed the evening by issuing a challenge to those in attendance. Anyone interested can view the PowerPoint presentations from the forums, along with a fact sheet, tips for parents and a list of resources, at deltapolice.ca/fentanyl-facts. Delta Police will be posting and answering all the questions they received at both forums in the coming weeks.